The GV-EFD1100 is now End of Life. May we recommend the GV-EFD2100 or please feel free to browse our Geovision category. 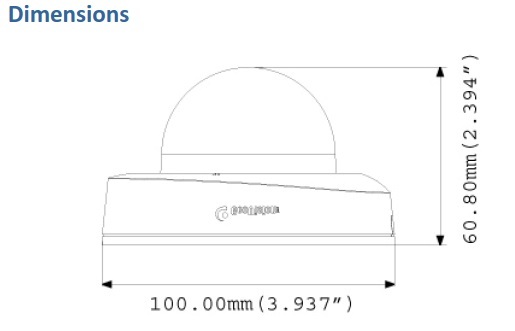 The Geovision GV-EFD1100 target mini dome camera has been designed for indoor use equipped with a removable IR-cut filter and IR LEDs for surveillance both day and night.